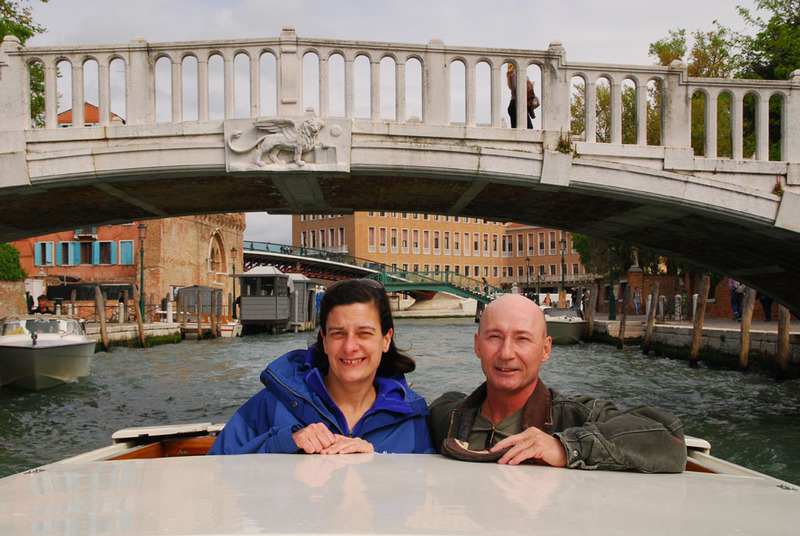 Steve and Debbie from Chicago arrive in Venice in style on a private water taxi at the start of their spring, 2014 tour of Italy. You’re searching for a small group tour in Europe and you’ve landed here. Thanks for stopping by! Now you may be thinking, ‘this kind of service sounds expensive.’ European Focus Private Tours are not cheap, nor are they created for someone on a shoestring budget. That’s what Globus, Trafalgar and Kontiki mass bus tours are for. What we offer is a unique service where you have major input on the itinerary, the pace and even the places where we stay. Or, if you prefer, just tell us ‘Take us to Italy’ and let us handle the rest. Mass-produced bus tours run those who take them through the ringer. Up at 6 a.m. (or earlier), bags out in front of your door by 6:30, ride on the bus all day and whiz through places where an hour or two is just not enough to even get the feel of the place much less a decent bite to eat. To the hotel at 6, ‘entertainment’ at 7 and then fall into bed exhausted. Repeat the next day. European Focus Private Tours are not for everyone. If they were, we’d be traveling in a fleet of big buses instead of a luxury car or van. This is a service for the person or family who wants more out of their travel experience. Is it cheap? Definitely not. Very few services or things of quality are. If you’ve read this far, then please spend just a few more minutes to let us know what you want to do, where and for how long. We will respond right away (usually within 12 hours) with a draft proposal. After that, it’s up to you. Swim with the rest of the school of fish in the sea, or find your own quiet stream. Posted in Europe Tours and tagged 2015, europe, germany, group, guided, guides, in, italy, prices, private, small, tours.